DANNIJO is a go-to jewelry brand when looking for a statement-making piece to add to your repertoire, and the designing sister duo doesn't stop with jewelry. To their fans' delight they make iPhone cases so you can keep a bit of their bohemian flair on you at all times. 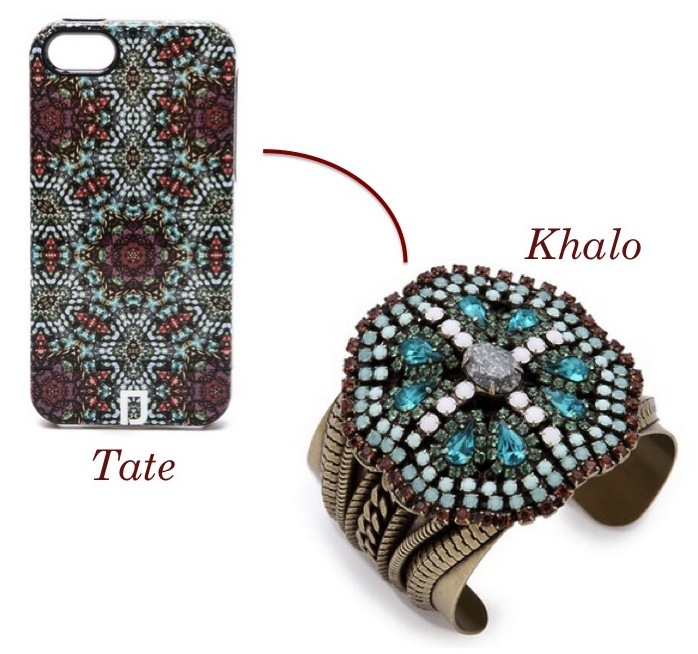 It's hard to deny the allure of a crystal encrusted cuff, but a $500 price tag isn't for us all so DANNIJO's colorful and graphic iPhone cases are fun alternative. ( iPhone 4 and iPhone 5 cases retail for $98). 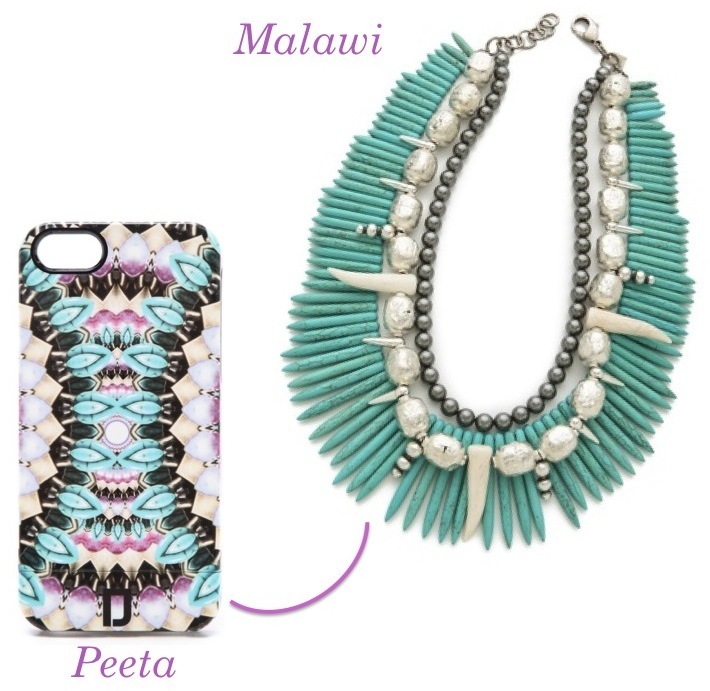 The new Malawi necklace's unique mixture of turquoise, enamel and silver channels sophisticated beach babe and DANNIJO's Peeta iPhone case has a perfect color palette to complete the look. 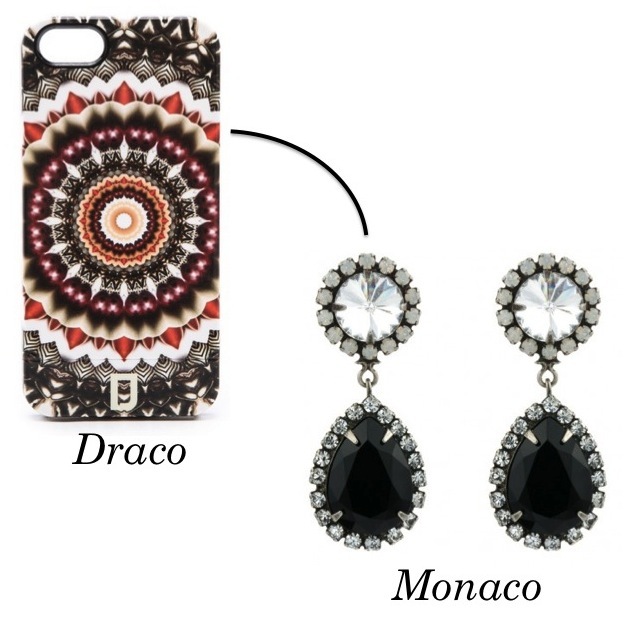 Give 'em your best "Persian Pop Priestess"*(non relevant but totally needed Bravo reference) with the Draco iPhone 5 case. If a pop of color explosion isn't for you, the Monaco earrings are sophisticated but far from subdued. What do you think, do you have a favorite DANNIJO design? What a great idea for a post! I love when Asa's mom was like, "what the hell is that?" Amaze. Asa is doing for unitards what Lena Dunham has accomplished for shorter-alls. I love your blog! I am a new follower and new to the blog world as well and would love your follow!! These iPhone cases are beautiful! I love the first one! They are all so pretty. Love the boho look. Now, on my phone too - too cool. That Peeta is pretty amazing.